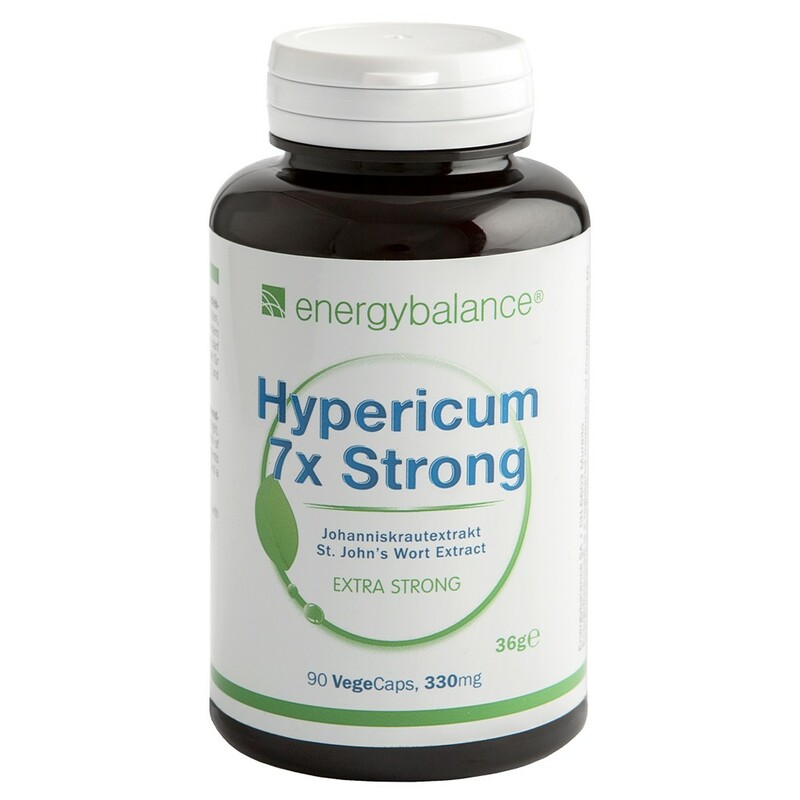 Hypericum perforatum extra strong, for strong nerves and inner peace. People have known about the restorative effect of St. John's wort since antiquity. It strengthens the soul, promoting a feeling of "inner peace," relaxation and balance. St. John's wort also stimulates digestion. St. John's wort can lift you up on gloomy days. It has been proven that St. John's wort can also help with the mood swings and stress we sometimes experience in these hectic times. In harmony with nature and the environment, St. John's wort promotes joie de vivre and helps you perform at your best. Contents: 36g = 90 VegeCaps each containing 330mg of Hypericum 7x Strong St. John's Wort Extract. Feeling down and dejected, feelings of doubt and hours spent laying awake at night thinking - these are typical cases for Hypericum 7x. It has been proven that St. John's wort can also help with the mood swings and stress we sometimes experience in these hectic times. In harmony with nature and the environment, St. John's wort promotes joie de vivre and helps you perform at your best. It can reduce the effects of tension and stress. St. John's wort played an important role in the old Germanic solstice cultures because the shape and color of the flowers resemble the sun and because it was considered to be a "bringer of light." When these cultures were Christianized, the solstice and its plant were dedicated to John the Baptist because the plant starts to flower around St. John's Day (June 24th), which is also when it is at its most potent. Herbal authors in the early Middle Ages referred to the plant as "corona regia" or "king's crown" because its flowers resembled a heavenly halo. People have been using St. John's wort since antiquity. During the Middle Ages and in early modern history, St. John's wort was used to restore peace of mind and as an apotropaic (a substance to avert evil influences). 36g = 90 VegeCaps each containing 330mg of Hypericum 7x Strong St. John's Wort Extract.